Hi everyone! 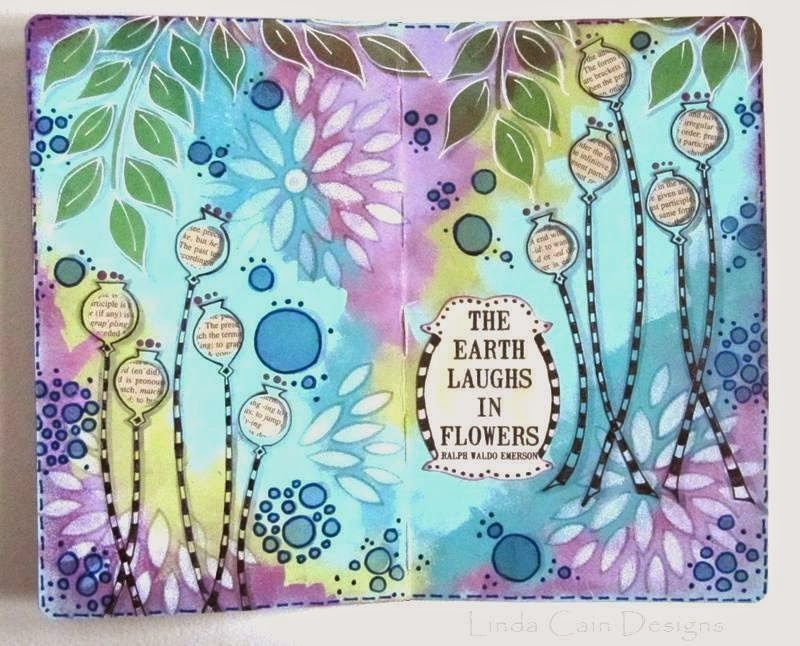 I'm Linda Cain and I'm back for one last spot to share a fun page in a small journal. 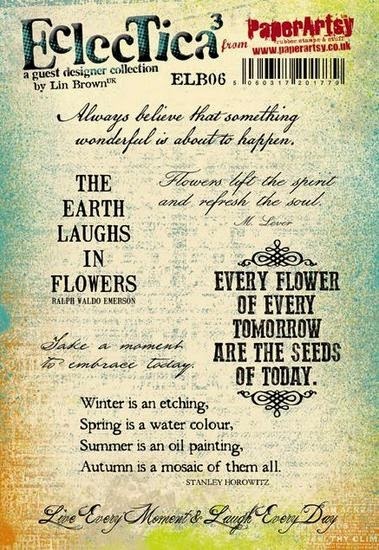 There's lots of wonderful stencils used here that create a simple bit of layering. The colors in the background are the real interest here that immediately grab your attention. 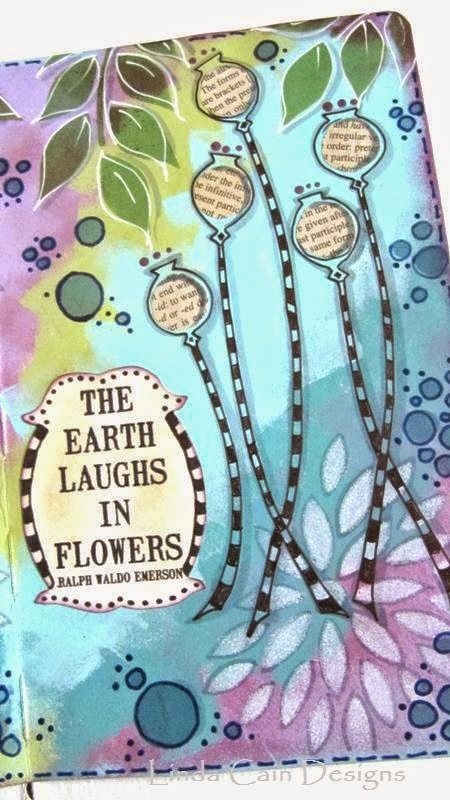 The Earth Laughs In Flowers stamp sets the stage for the whimsical flowers and bubbles. This is a totally random pattern of colors that are sponged onto the journal spread with Opaque paints. They are NOT blended at the edges, but are deliberately made with the defined "sponge square" pattern. I used Amethyst, Spanish Mulberry, Lilac, Bora Bora, Mermaid, and Guacamole paints. Then I used the PS004 Stencil to draw the stems with black permanent pen, and olive green Archival ink to add the leaves from PS005. The gorgeous flower pattern from PS005 is sponged on with Snowflake. I cut circles of vintage dictionary pages to glue to the flower centers. More stenciling with a blue Archival Ink fills in the spaces with the bubbles from PS001 I also added shadows and outlines with pens. The phrase from ELB06 is stamped and cut on white paper. A bit of Antique Linen Distress Ink adds a smudge of color to tone down the stark whiteness. More dots and dashes with the pens here and there, and around the edges, frame up the pages. It's been a wonderful time spent here in the last year. I have enjoyed every moment of it!!! Thanks so much to Leandra and Darcy for EVERYTHING. I, of course, will continue to use my "beloved" Fresco Paints and my stash of stamps to play and create projects on my blog. A huge thank you to Linda from all at PaperArtsy HQ, it has been such an enormous pleasure having you contribute to the blog and I do hope you will be back in the future. 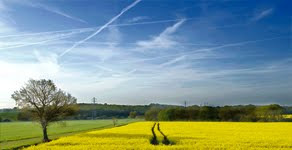 This is a gorgeous project to end with, light and summery . Even though you left the edges of paint 'squared off' they somehow still manage to look blended... must be because those Frescos are just so awesome! 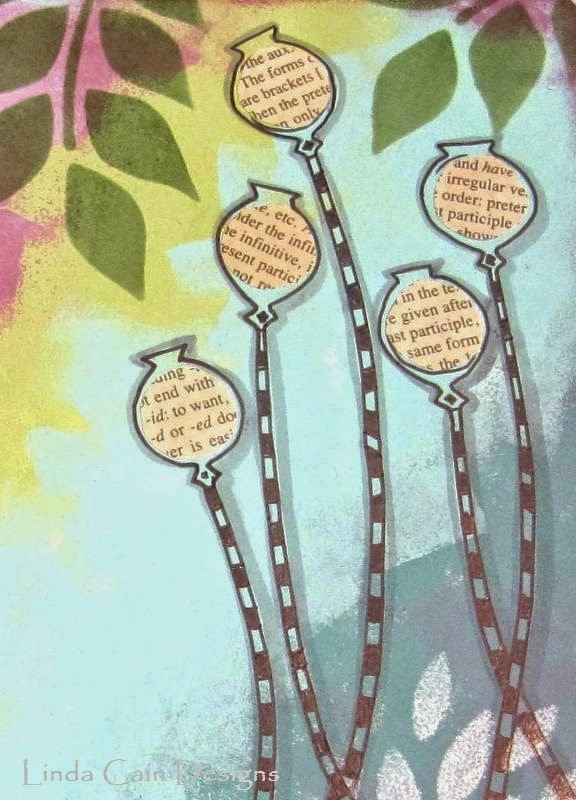 I love the soft colours of the background, and the stencils and stamping are, of course, perfect! Gorgeous as always, linda, I love those circles of text! I have loved seeing you on here and will continue to follow you. 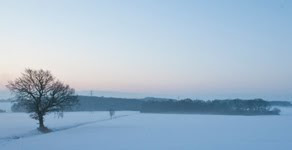 Hope to see you back here but in the meantime, have an exciting time!! Love those colours, & the little circles of text! Fab page Linda! Such a lovely page. The colours are gorgeous & I love the stencilling. Thanks so much Lucy. It's been a JOY! That's one of the best comments ever! Thank you, HAZEL. What a fabulous piece Linda! 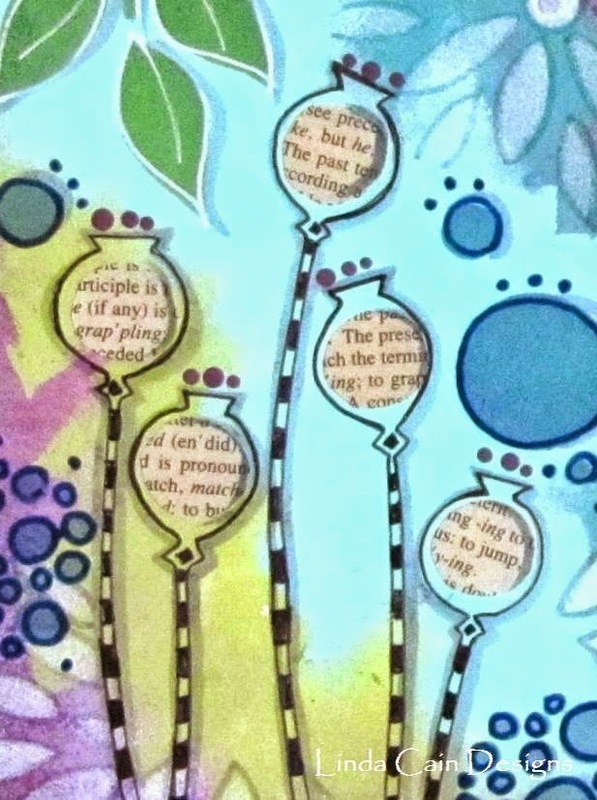 The background works brilliantly and love all the stencilling and how the outlining gives so much depth. I too have enjoyed all your projects and have you in my sidebar so I don't forget to visit. Ce combo de couleurs est vraiment sublime, et votre fond avec un mélange de pochoirs et de tampons rajoutes une touche supplémentaire pour le rendre encore plus beau. What a wonderful spread, Linda. The background colors are so peaceful. Gorgeous pages and lovely colours Linda! Always my pleasure to share! Yes. Do try it! Fun and easy. Yes, and that is very different for me. Thx.